To be able to share knowledge and insight that may inspire someone to create a n​ew empowering path,​ to me is truly a blessing. I can't imagine not giving back something in my lifetime to help others. Since Derek’s early years he has always shown a passion for speaking, the visual arts and creative writing. 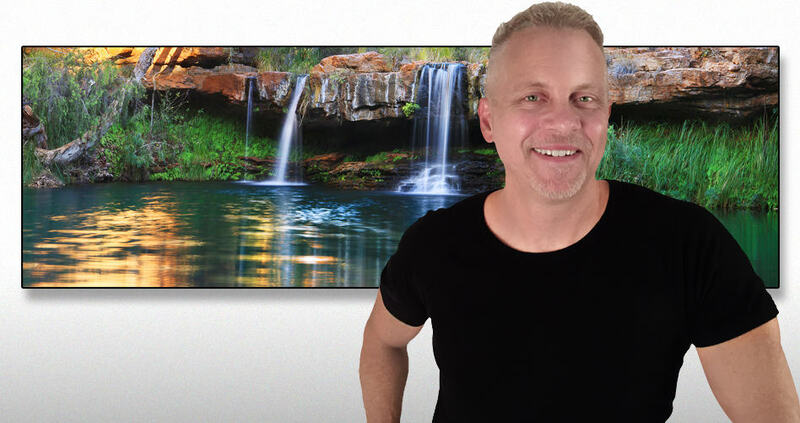 After graduating with a BFA in 1994 he followed a career in advertising and marketing. For twenty years in the industry he learned how to present new designs and conceptual marketing strategies to clients. Understanding the significance of giving a successful presentation and meeting the needs of the clients, was such an important skill set to acquire. "At a very young age I have always had this desire to express an idea or a realization. For many years I did this in the form of art, illustrating my vision in hopes that it would help someone see a different view point. Not until I entered the world of a teaching did I realize how much more effective I was in reaching out to others and helping them understand complex concepts. Finding creative ways and analogies became a fun and challenging way to relate to people who were struggling with certain topics. This opened the door for me to a new career and passion." After a few life changes Derek made the decision to seek out new horizons and moved to Australia. Once settling in on the east coast he started working for Apple Inc. There he found a desire to speak performing various workshops, hands on training events, specialty group lectures, internal presentations on company procedures and product tutorials. Excelling in this area he became one of the trainers specializing in giving presentations, educating groups and one on one training. 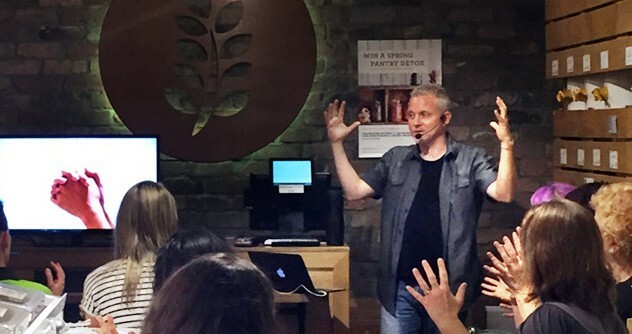 Derek performs weekly speeches about business, work/life/balance and living a healthy lifestyle through the wonders of nutrition. These topics many of us struggle with on a daily basis. What does health have to do with the corporate world? Ever heard the expression "If you don't have your health you don't have anything"? If someone physically does not feel well does it affect the decisions they make? What kind of energy do they have and does it effect others around them? How well do they perform overall and especially in stressful situations? Having a healthy work environment is such an important key for a company's growth and success. Has anyone discussed the importance of living a healthy lifestyle and how it reflects their performance? What strategies does your company have to support a healthy work environment? Can you see how important the benefits are around wellbeing. Creating that awareness and having that support can be just what a company needs to lift the energy in a workplace. Imagine taking it another step further and implementing a program that inspires a healthy mindset that brings people together. 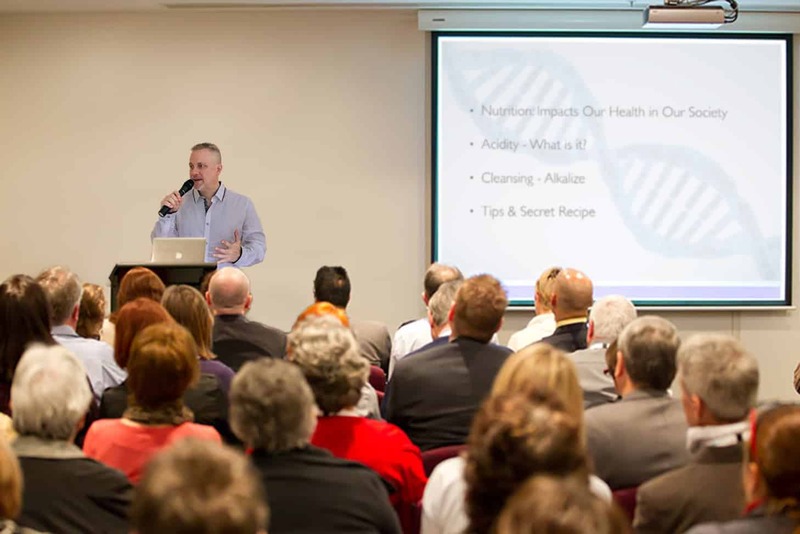 Many of Derek's speeches revolve around nutrition, mindset, emotion and wellbeing. His unique creative approach and knowledge will enlighten an audience in just about any type of event. Food and our diverse lifestyles is a subject we all can relate to and find common ground. Whether you're a school, social group, gym, health clinic or non profit organization, you will be so glad that you made the decision to have Derek speak at your event. A Great way to bring awareness and support to a community is to have an exceptional speaker. Someone who can lift up the room with energy and inspire those around them. Having a guest speaker can literally change an entire event and create a buzz that will last a lifetime.